be about 1.9 million liters per hour by 2023 and 2.6 million liters per hour by 2044. 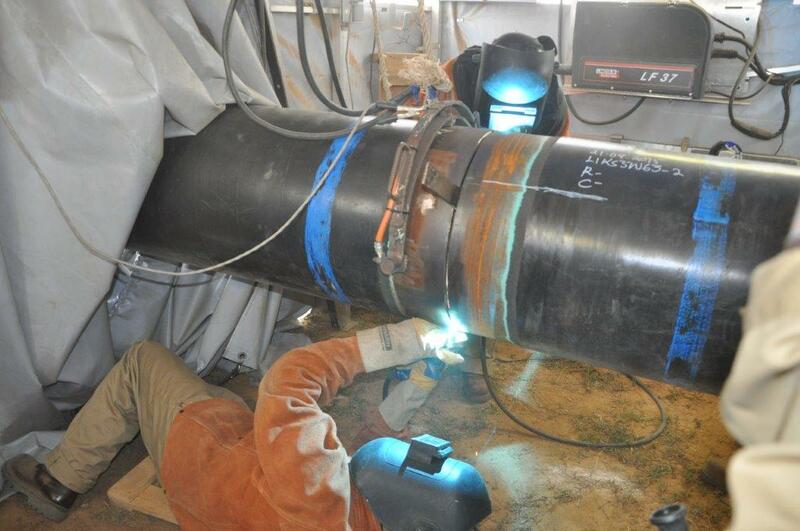 This pipeline network was commissioned in March 1994 and consists of a 325 km 8-inch and 6-inch diameter pipelines running from Nairobi to Eldoret with a flow rate of 220,000 litres per hour. Given the increase in demand for petroleum products in the region, KPC constructed in 2011 a 14-inch diameter parallel pipeline from Nairobi to Eldoret which enhanced the flow rate to Western Kenya by 311,000 litres per hour. 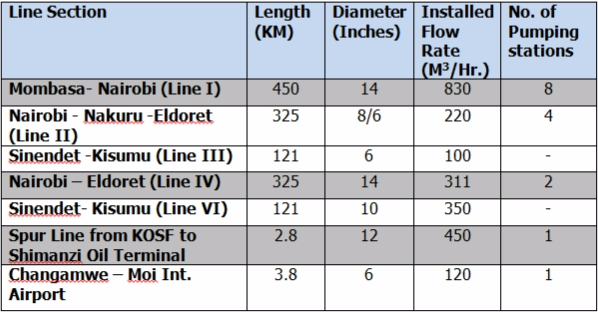 Ultimately, the parallel pipeline is designed to achieve a flow rate of over 750,000 litres per hour through installation of additional pumping stations when higher flow rates will be required in future given the growth of Kenya’s economy and that of its neighbours. WKPE also comprises a 121 km 6-inch diameter pipeline running from Sinendet in Nakuru to Kisumu with a flow rate of 110,000 litres per hour. 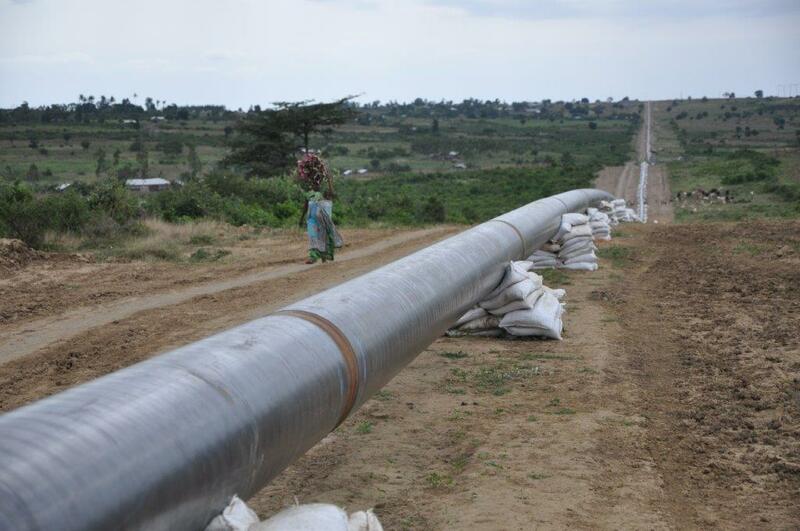 Due to growing demand for petroleum products in western Kenya and the Eastern Africa region, KPC has commissioned a new 121 km 10-inch diameter parallel pipeline from Sinendet to Kisumu with a flow rate of 350,000 litres per hour. Besides the stated security of supply, the new line will open up development of other projects such as the Kisumu Oil Jetty and the Kisumu – Busia Pipeline.